In May 2017, we spent 24 hours in the city of Brussels, Belgium, playing escape rooms based on a combination of emailing out to owners asking for the companies they’d recommend in the city and trawling TripAdvisor. 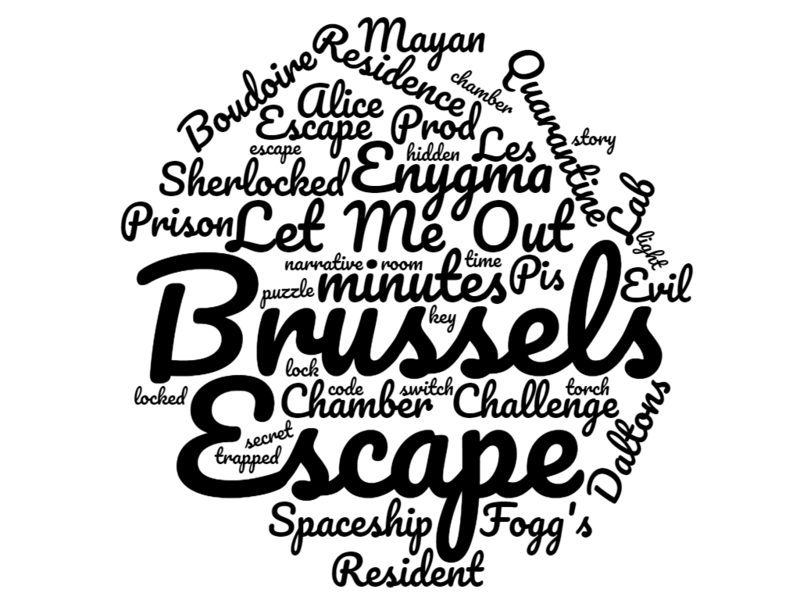 We visited twelve rooms at six of the nine venues in the Belgian capital, skipping the bottom two ranked escape rooms on TripAdvisor as well as Escape Hunt, which I’d both heard bad things about and had disappointing experiences of in their (now closed) UK venue. In the end, we visited all the games at Chamber Challenge, Escape the Room in 60 Minutes, Enygma, Let Me Out, Escape Prod and Quarantine, mainly clustered around the city centre – you may find this map of the venues useful in your planning. We then visited a second time in May 2018 where we played Escape Prod’s new game and visited Escape Rush. There were a variety of good games in the Belgian capital but nothing that blew me away. If you’re only looking to play a single game in the city, then I’d choose from The Daltons’ Escape or Blacksad at Escape Prod or Submarine Bunker at Escape Rush, with the first of those being my recommendation for a family-friendly game. If you’re looking to play several games in a single venue, then Let Me Out had three solid games with a nice range of themes – we particularly appreciated their Alice in Wonderland room, which played well with the space they devoted to it. Enygma is the big brand in the city and, while their rooms looked impressive, we found the GMing let them down. If you want a room with a local tie-in, then Escape the Room in 60 Minutes‘ Manneken Pis room is the best you’ll get, but don’t hold your breath. Other general points: we didn’t have any problems with language across the venues, with all hosts speaking good English. The clue delivery mechanisms varied, but we were generally given clues as required, with the option to ask for them if we desired. The only other thing I noticed was more of a tendency to offer walk-throughs after the game.